Darlington fuzz, it'll send you insane. Just got mine through the post today. First impression is wow how many different sounds from one pedal. I can see this getting a lot of use. I just have to say that I love this pedal more with each day. So glad I was able to get one. 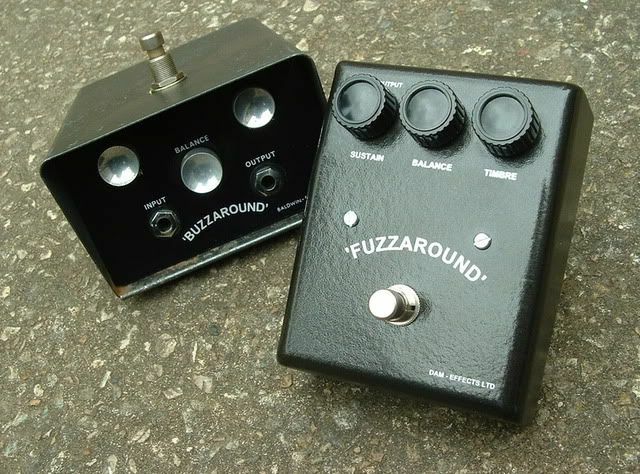 It is the first fuzz that my Deluxe Memory Man truly likes to work with. Using black YY enclosure for this project was simply genius! agreed, after all this time its still my fave DAM pedal, like a little fuzz grenade.